The Peace Tower. 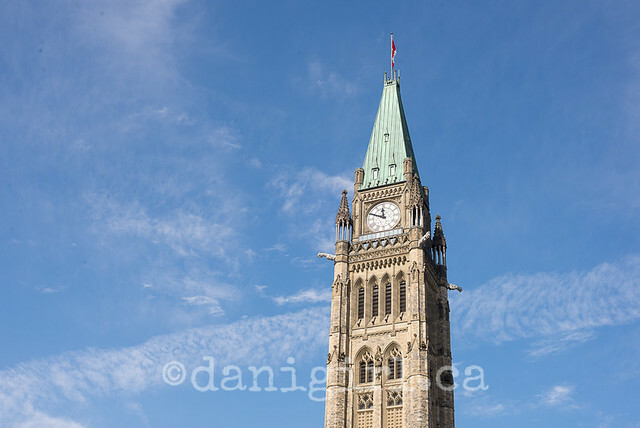 How many photos do I have of the Peace Tower? I started counting on Flickr and stopped when I got to 40. I gaze upon it every single day, several times a day, each day that I am at work. 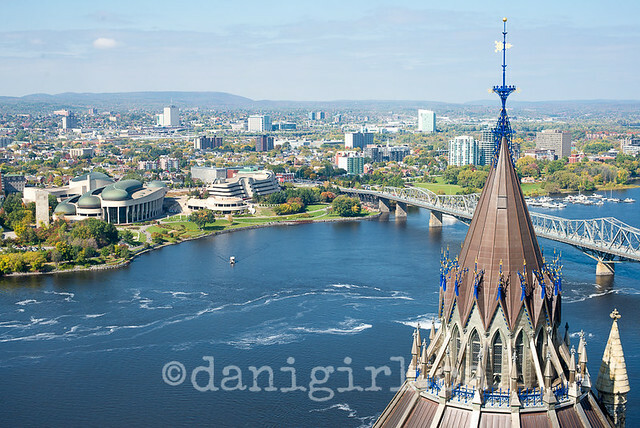 And yet, it has been more than 20 years since I went up inside the Peace Tower. You’d think between all the photos and the blog posts about things to do in Ottawa, I’d have put two and two together before now, right? How cool is that? 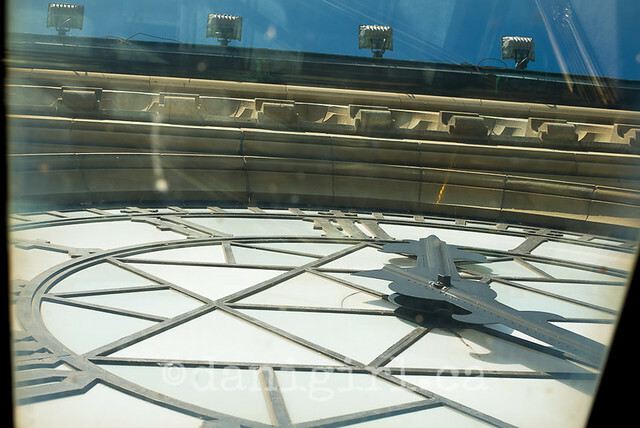 It’s little smudgy, and someone needs to get up there with a squeegy, but it’s still way cool to be so close to the clock face that I gaze upon so many days of the year. If you look at this shot, you can see the row of square observation deck windows right under the clock face. Truth be told, I was actually a little disappointed at first. I’d wanted to see the carillon bells up close, but you only see them as you zip past in the elevator. 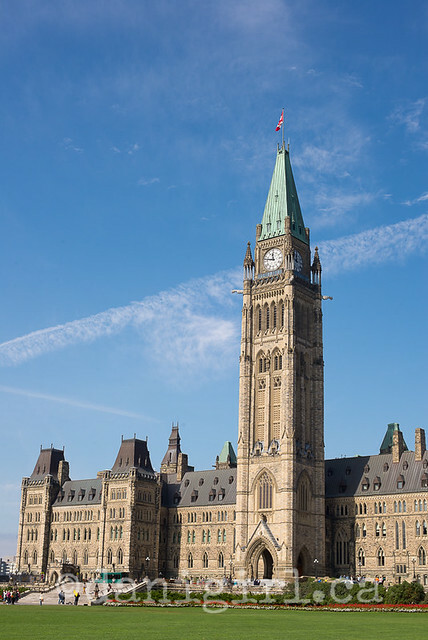 (Parliamentary trivia: the observation deck is one flight of stairs and nine floors up in an elevator.) It was bright and glarey looking south toward downtown, and the windows were a little fogged and the lunchtime sun made taking good photos of downtown a bit of a bust. But then I walked around to look out to the east — and I might have actually gasped in delight. Look at beautiful Majors Hill park, and the US Embassy, and all those lovely, colourful trees! And then I worked my way around to the north side of the observation deck and LOOK AT THIS VIEW!!! Wow. Talk about the best view in town! I had to wait in a bit of a queue, so I didn’t really have time to take the tour of anything except the Peace Tower itself. You can take a self-guided tour, but I’d leave at least 60 to 90 minutes to get in, up, look around and come back down. 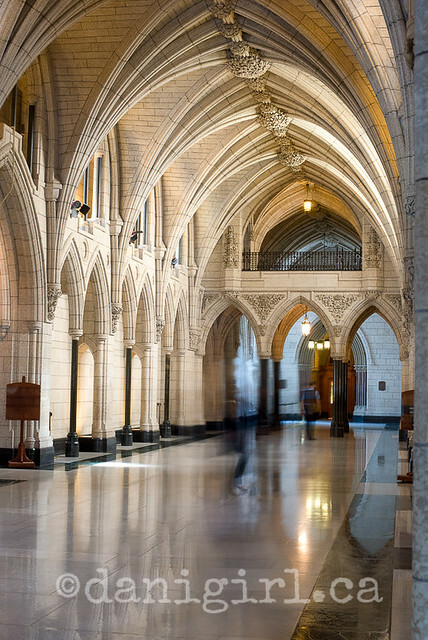 There are also self-guided and guided tours of the Centre Block (including the Senate, House of Commons and Library) and guided tours of the East Block in summer months only. Tours are free of charge. I’m definitely going back for a tour soon! The Senate and House of Commons are interesting, but what I really want to see again is the beautiful Library. I remember being enchanted the first and only time I saw it, 20+ years ago. 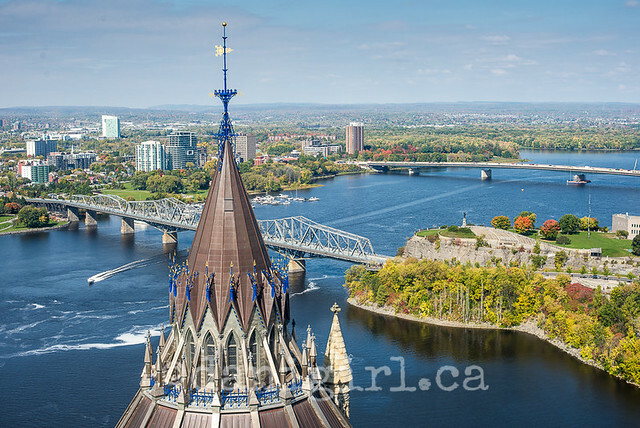 When is the last time YOU went up the Peace Tower? 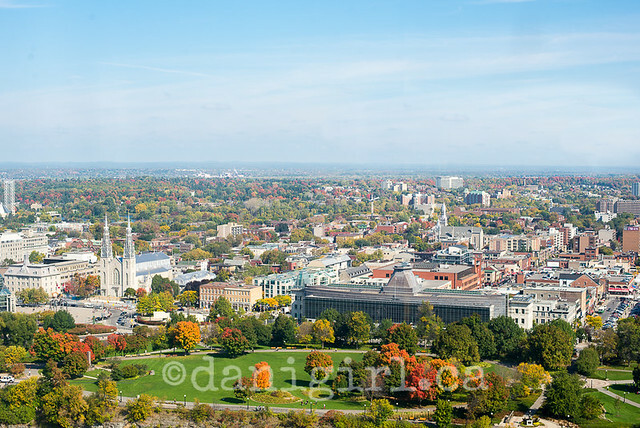 Next post: Photo of the day: More Peace Tower!